The concept of “smart dust” emerged in 1992 from a RAND workshop and it defined something that was not quite possible at that time. A system of tiny microelectromechanical systems works as a swarm and measures just about everything. Of course, as with any other technological marvel, one of the first instincts was to weaponise it, so by the mid-1990s there were already a series of DARPA ISAT studies performed, to determine its military value. However, over the years, it proved that it has greater commercial worth. Discussing the potential of the smart dust sounds as unreal as explaining magic pixie dust. 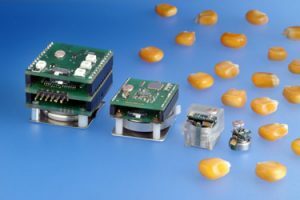 This system of tiny sensors, robots or other devices can measure light, temperature, vibration, magnetism and chemicals. Of course, these tiny systems usually perform just one task, but they do it in a unique way. Their small size gives them a great strategic advantage and sometimes this offers a peculiar perspective on things. These miniature marvels are still a bit too big to be called dust. Current models measure around 5 millimetres per side, says Kristofer Pister, Professor of Electrical Engineering at University of California Berkeley, who has been working with smart dust since 1997. That is still amazing considering the fact that they have sensors and the ability to communicate wirelessly. Efforts are being made to reduce their size to one millimetre and less, and this is expected to happen within this decade. A collection of tiny microelectromechanical systems that individually measure less than a millimetre will surely look like dust to the naked eye. When you already have a tiny robot that does a complicated task, one of the biggest challenges will be to provide it with sufficient power. Currently, smart dust relies on miniature batteries as a main power source and this provides a decent amount of operational time. The battery size is a big obstacle in the efforts made to shrink the tiny smart dust particles. Scientists are working on tackling this problem with the use of several different approaches. Smart dust particles are amazing regardless of whether or not they are connected to a power source. Each particle sends an individual read and they can be used to monitor all sorts of processes. Still, connecting the particles to a power source will take away the key advantage given by their size. Dependence can prevent them from reaching their maximum potential as autonomous sensors and that is what the smart dust concept is all about. A possible solution lies in making the smart dust particles more energy efficient. As most of the energy is used on their wireless communication, researchers from UC Berkeley, MIT and the University of California have started to work on devising a more efficient wireless protocol that will require less energy. This so-called low-power ad hoc routing protocol will find ways to send a message from one mote to another using the least amount of energy necessary. Communications that drain less battery life can even allow the particles to send out larger data streams. Smart dust can become more energy efficient if scientists can find a way to make it use of its surroundings. The first ideas explored in this direction involved using low level light and vibrations as a power source. Considering the size of the dust particles, this task will be especially challenging. Smart dust definitely has a place in the future. Current trends imply that in the near future particles will become smaller and less expensive to produce. With a more affordable price and increased performance, this technology will be attractive to many different businesses. It is not just about the data they can gather; it is how that data can be used. Cheaper smart dust can take quality control to a completely new level. Sticking a dust mote here and there on appliances, electronics, vehicles and other products can deliver an incredible amount of useful data that can help manufacturers create safer and more durable products. On the same note, smart dust can improve workers’ safety. Catching out of range vibrations and excessive temperature levels can serve as an early warning system for possible equipment malfunction. Accelerometers on our fingers make a pretty neat virtual keyboard; tracking the movement of our fingers on a flat surface and transferring the data through wireless is one of the best ways to create a virtual keyboard. Smart dust can even create smart inventories. Having a mite on every box that communicates with a mite on every palette which, in turn, communicates with a mite on a truck will eliminate a lot of problems with shipping and inventories. Sprinkling roads and intersections with smart dust can provide a lot of useful data that can help to avoid traffic congestion. If motes become sophisticated enough to communicate efficiently with traffic lights, smart dust can be the future system used for traffic control. Smart dust can lead to the easy creation of a smart room. Just as the smart motes communicate with each other they can also communicate with sensors embedded in electronic appliances within your home. Your room experience can be adjusted by your preferences and different automated processes can be activated depending on the current time of day. Discussing the future will be unrealistic if we do not mention the gloomier side of things. Dust mites are excellent for surveillance. You can use them for monitoring, tracking and even scud hunting. Defendec is just one of the companies that offer surveillance solutions based on the smart dust concept. Motes will surely be used for military and domestic intelligence purposes. It will be very hard to convince some people that big brother is not watching if a surveillance device becomes as small as a grain of sand. We will soon have a chance to see a new generation of smart dust that offers more for the price of less. This opens the door to a world of unlimited opportunities. It is too early to say how this technology will be used, but the ideas so far are very promising. Regardless of the possible misuses we can currently imagine, smart dust represents a huge technological leap that should be embraced and celebrated.